London Stone, the Middlesex-based quality stone paving supplier, have excitedly announced that they will be opening a second showroom at the beginning of April 2013 - that's just 6 weeks away! 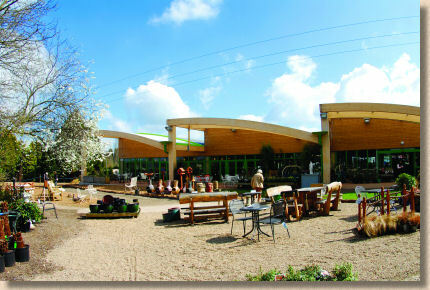 The new showroom is located at Coolings Garden Centre in Knockholt, Kent. London Stone have been working hard behind the scenes for the past 18 months on this project, so they are understandably thrilled to have finally found a suitable site. "This development will give our existing clients in South East London, East London and Kent easier access to a London Stone showroom and will increase our presence in the South East. While the majority of our deliveries will still be serviced by our existing depot in Langley, customers in South East London, East London and Kent will be able to collect orders from the new showroom in Knockholt. " Regular readers of The Brew Cabin discussion forum on this website have been avidly following the ongoing work to upgrade the display areas at the company's main site, and chipping in with their usual helpful comments and suggestions, as is their wont. If this is any guide to what we can expect at Knockholt, then we're all in for a real treat!